Kor-Pak can provide your hardened steel track wheels to your requries specifications and dimensions. 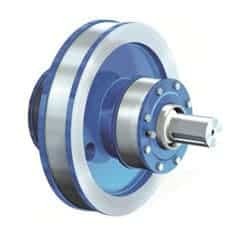 Our wheels are designed to minimize flange wear, flange breakage, and mechanical overloads characterized by pitting and spalling. 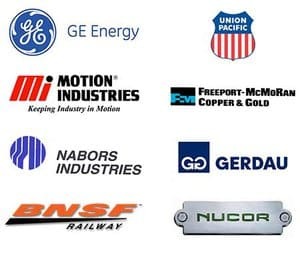 Studies have shown that abrasive wear is substantially minimized when the coefficient of friction between the wheel and rail upon which it rides is reduced. 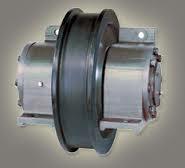 Friction coefficient can be reduced by as much as 40% by hardening the track wheel to 58-62 Rc. It has been determined that over 40% of all wheel replacements are a result of excessive flange wear and breakage. A hardness that is too deep will increase the likelihood of breakage and wheel failure. The answer to that is dultile area backing up the hardened case of a flage that will absorb shocks generated by span misalignment and badly worn joints between rail sections. 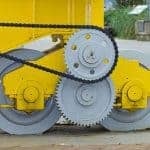 Be the first to review “Crane Track Wheel” Click here to cancel reply.